EDIT: Some additional information. While pursuing another issue, I learned from an informed CR lister why the rear hubs were spaced 124mm for the "standard" five speed hub. It seems that in combination with certain frames, some brands of 5-speed freewheels simply would not fit. So many French builders compensated by spacing the rear at 122mm and spacing the hub to 124mm. A simple, elegant solution. Gotta love the French still applies. Hubs, pedals and freewheels maker. 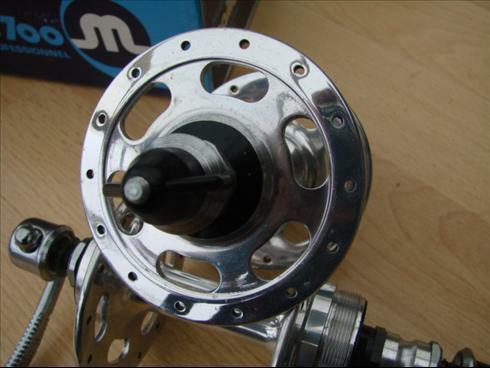 Between 1950 and the late 60's, absorbed smaller companies Atom (freewheels, pedals) and Normandy (hubs), whose brands survived on a number of Maillard-made products until the early 80's.